I’ve been cycling for years. I was playing squash before I learnt how to ride a bicycle, but probably only got on a bicycle when I was 5ish. My Dad got into cycling, and the whole family kind of followed along, we did fun rides occasionally and I did my first Argus Cycle Tour when I was 14. I then proceeded to do the subsequent 10 Arguses, this year being the first one I’ve missed. And in between this I’ve kept up a bit of mountain biking too. I enjoy both disciplines for different reasons, but in general over the past 5 years I’ve tended more to offroad. I’ve been fortunate to live in areas with great mountain biking. Living in Somerset West and Stellenbosch a mountain was only ever a 10min ride away. 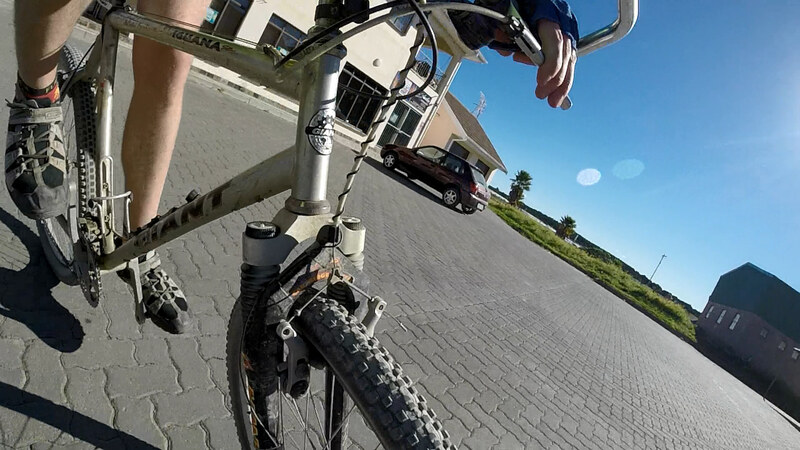 Whether it was the farm roads of Lourensford or the multiple dirt roads around the bases of the mountains surrounding Stellenbosch, it was quick and fun to get a cycle in. Now in East London we’re fortunate enough to have multiple mountain bike tracks in the vicinity that are open to the public and a steady supply of events as well. But it seems like the longer I’ve been riding, the more I’ve been falling off. I don’t know why. I never really had any crashes/falls until last year. About 8 years ago I came off my bike on the road, going round a corner and hitting a patch of gravel, I lost my front wheel and went hands first into the tarmac. I wasn’t going too fast, but managed to sprain my wrists enough to keep me off a bike and the squash court for a week or two. And then there’s the odd fall in between. 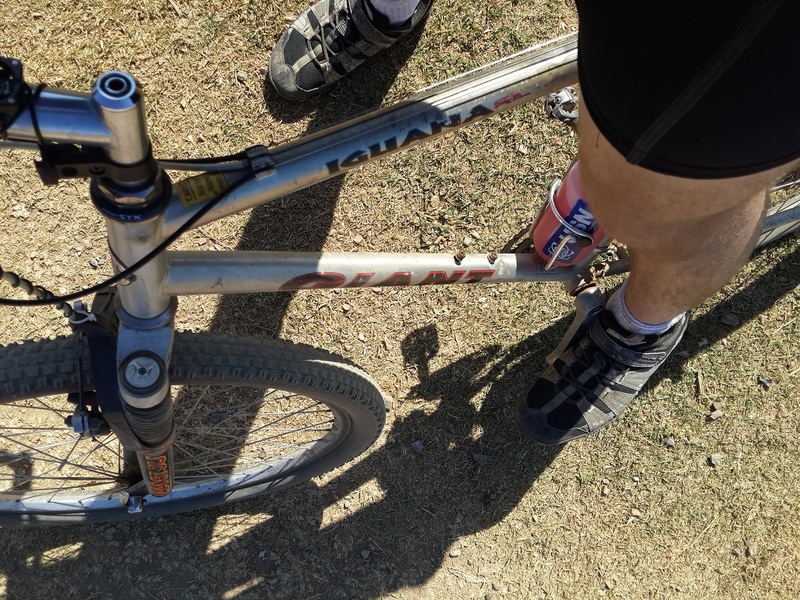 Usually going quite slowly, and on two occasions on other people’s bikes, being almost stationary and falling over sideways without being able to unclip my shoes in their much tighter cleats. Two weeks later doing some nice downhill single track, I fell twice on my ‘sore’ shoulder, managing to cycle home but cutting my cycles short. And I’ve come off my bike another one or two times since then. This last weekend I managed to do what I consider a fairly graceful roll onto the ground as witnessed below. Youtube made it a bit blocky though. I don’t really know if there was a point to this post. I felt like writing. And I get to post a great video of me falling off my bike. But otherwise I hope that my falling doesn’t increase. I have a very old bike. Like seriously old, it may be partly to blame for my falls. But for some reason, although I have the money available, I can’t bring myself to get a new one, maybe it’s sentimental, I’ve done so much on this bike, like the Karoo2Coast. We’ll see how long that lasts. This entry was posted in Opinion, Outdoor, Photography and tagged cycling, falling by Gareth. Bookmark the permalink.